Collections. Compliance. Effectiveness – The Great Debate takes center stage at DCS2018! In addition: We’re happy to announce two more round table sessions added to Debt Connection Symposium & Expo. Debbie Venderley with LoanMe and Michael Zachau with T-Mobile will facilitate roundtables on Due Diligence and OCA Compliance Management. Weltman, Weinberg & Reis Co., a Cleveland-based law firm, has been exonerated in a lawsuit brought against it by the Consumer Financial Protection Bureau that charged the debt collector with engaging in illegal debt collection practices. At the heart of the case was an allegation that the firm falsely represented its attorneys' involvement in consumers' individual cases. To protect confidential information in these times of frequent cyberattacks, companies are investing more time and resources into making sure they have cybersecurity plans in place. You can help protect your clients by ensuring their benefits providers have measures in place to protect information. Some believe that limiting the number of providers companies work with is the answer, but that doesn’t address the actual issue. One provider with less-than-stellar security measures can put a company in much greater danger than three providers with industry-leading cybersecurity measures in place. In another blow to TCPA Plaintiffs hoping to make use of the FCC’s 2003 and 2008 Predictive Dialer rulings after ACA Int’l, a federal district court in the Northern District of Illinois held today that those rulings were categorically set aside. The decision in Pinkus v. Sirius Xm Radio, 16 C 10858, 2018 U.S. Dist. LEXIS 125043 (N.D. Ill. July 26, 2018) represents the latest entry in a growing list of cases finding that the TCPA no longer covers dialers that call from lists, but only those that randomly or sequentially generate numbers to be called. And Pinkus is different in that the Court clearly and thoroughly analyzes all pertinent issues and reaches a stark conclusion–TCPA complaints alleging the use of a predictive dialer do not survive the pleadings stage. In the wake of data breaches at major companies, including the credit monitoring service Equifax, Massachusetts is poised to adopt new regulations to protect consumers. A bill that passed the Legislature on Wednesday and is headed to Gov. Charlie Baker's desk would give consumers free credit freezes at any time. It would require businesses that are breached to provide a period of free credit monitoring. The Ponemon Institute's latest study on data breach costs highlights the rise of what it calls "mega breaches," which are the worst types of security incidents in terms of costs and data exposed. The "2018 Cost of a Data Breach Study: Global Overview," which was sponsored by IBM Security, details the cost enterprises incur after falling victim to a data breach and found that the average total cost of a data breach rose from $3.62 to $3.86 million -- a 6.4% increase -- with $148 as the average cost per lost or stolen record. COLUMBUS, Ohio - Gov. John Kasich said Wednesday morning that while he still needs to review in detail the bill reining in payday lending, he will likely sign it. "From what I understand, it's a pretty good bill," he said during an event kicking off the Ohio State Fair. "I'll have a chance to examine it and look forward to signing it." DCS2018 Early Bird Rate Ends August 3! Debt Connection Symposium and Expo 2018 will be held on September 5 – 7, 2018 at the JW Marriott Austin in Austin, Texas. 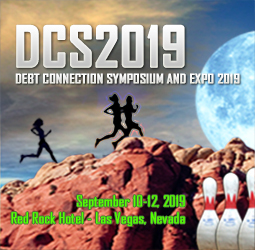 www.debtconnectionsymposium.com to get that early bird rate! SPRINGFIELD, Ore. and ST. GEORGE, Utah, July 23, 2018 /PRNewswire-PRWeb/ -- KG Hawes, a technology company specializing in customized software and support services for call centers and financial services, including the VoizTrail® Communication and Compliance Suite, and TCN Inc., a leading provider of cloud-based call center technology for enterprises, contact centers, BPOs and collection agencies worldwide, today announced the formation of their strategic partnership to provide a streamlined, one-step communication solution. COLUMBUS - One in every 10 Ohioans – roughly 1 million people – have taken out a payday loan at some point. How those loans are doled out and repaid could soon change dramatically. Ohio lawmakers sent a slew of changes to Ohio's payday loans to Gov. John Kasich Tuesday with a 61-24 vote. Proponents of the overhaul say it could become a model for the nation. Opponents fear it will drive payday lenders out of business, leaving customers who already have poor credit with few options. You won’t want to miss Ken Evancic at the last session Friday, September 7 morning – explaining increasing collection results with his proprietary BUMP Collection model. Register online now at: https://lnkd.in/gbxuYWV Also – don’t miss peer groups – Auto Finance Peer Group, Credit Union Peer Group, Millennial Peer Group – check the website at http://www.dcs2018.com for the full schedule. NAFCU has put together a list of five top items that the Bureau of Consumer Financial Protection (previously known as the CFPB) can do to provide immediate and much-needed regulatory relief to the credit union industry. Attorney General Jim Hood and the Mississippi Center for Justice are fighting in court for thousands of Mississippians who were financially affected by deceptive student loan lender Navient Corporation from 2000 to present. The pair filed a lawsuit last week against the company and its subsidiaries, Navient Solutions, LLC, and Sallie Mae Bank, alleging widespread abuses across all aspects of its student loan business, including misleading borrowers about payment options that resulted in higher monthly payments that many could not afford. WASHINGTON (Legal Newsline) — National Credit Adjusters LLC (NCA) has reached a settlement with the Consumer Financial Protection Bureau (CFPB) over allegations it violated the Consumer Financial Protection Act and the Fair Debt Collection Practices Act. Kansas-based NCA and its former CEO and part owner Bradley Hochstein allegedly used a network of debt collection companies that practiced unlawful debt collection acts, according to the CFPB. Carriers that write policies in New York state are facing a key deadline to comply with the state’s strict new cybersecurity requirements. The regulations, known as 23 NYCRR 500, were originally issued by New York’s Department of Financial Services in March of 2017, but to give institutions time to comply with the new rules, they are being phased in over a two-year period. The next in a series of deadlines is on September 3, when a large and near final set of requirements is due to take effect. Alliant Credit Union’s budget allocation for technology is almost twice as high as the average bank of the same size. Most banks won’t readily share exactly what they spend on innovation, but Alliant Credit Union has offered up that 15% of their expense base is allocated to technology. Although credit unions aren’t required to publicly file quarterly earnings like banks, Alliant told Bank Innovation that their expenses are approximately $150 million a year. At 15% a year the average spend would be around $22.5 million a year. A federal judge in Michigan is the first to declare in a published dispositive opinion that a ringless voicemail message (RVM) is a “call” regulated by the Telephone Consumer Protection Act (TCPA). In an opinion issued on July 16, 2018, in Saunders v. Dyck O’Neal, U.S. District Judge Gordon J. Quist of the U.S. District Court, Western District, Michigan, noted Congress’ broad descriptor “any” in prohibiting “any call,” and noted that the Federal Communications Commission (FCC) and the Supreme Court have generally construed the TCPA broadly in ruling that new and emerging telephone technologies are governed by the TCPA, including voicemail messages, text messages and email-initiated text messages. Automakers like Tesla, Toyota and Volkswagen go to great lengths to keep their technical information confidential. Details about assembly line machinery and proprietary robotics are among the industry’s most closely guarded trade secrets. But this month, a security researcher came across tens of thousands of sensitive corporate documents — including many from nearly all of the largest auto manufacturers — on the open internet, unprotected. The trove included material from more than 100 companies that had interacted with a small Canadian company, Level One Robotics and Controls. WASHINGTON -- When Manu Smadja and his partner founded financial technology startup Mpower Financing in 2014, the online lender was only licensed to operate in Washington, D.C., New York and Massachusetts. Like many other nonbank loan originators that aspire to expand their businesses, Mpower wanted to expand but was stymied by the need to apply for licenses in each state in their expansion plan. Mpower, which provides loans to foreign students at U.S. universities, is one of a growing number of financial technology firms that use technology to improve their financial services. Because such firms don’t qualify for national bank charters, they must get charters at the state level.